This machine was apparently given to a college lecturer in Sussex in 1972 as a retirement present. He didn’t use it much, and several years later it was put it into dry storage. The previous owner bought it in 2008 and put it on the road for his son. I purchased it from him this year, since when it has been thoroughly mechanically restored. It looks like the paintwork is the original, unrestored. The chrome is good all round. My mechanic’s inspection has revealed only a few minor things wrong with it. The foam inside the seat is breaking up, though it’s completely usable; the saddle is good externally, but one day will require new foam. There are some later nuts and bolts on the exhaust system. The front mudguard has some minor damage on the front nearside, though it’s hard to see in the photos. There’s a blemish in the petrol tank on the front offside. The bike is not concours sahowroom condition, but it’s extremely good, and partticularly so for an unrestored example. There’s a V5C Registration Document. It is currently MOT’d, but I’ll get a new MOT for it on sale. It’s currently taxed – which is ‘Historic’ class so is free. DELIVERY is not included in this auction. you liaise with them direct re delivery and pay them separately. (Please email your postcode if you want to confirm price). THIS BARGAIN PRICE DELIVERY IS ON A PART-LOAD BASIS. (Collection when they’re in my area; delivery when in yours). If you want it fast, please organize your own collection. Ireland & N. Ireland – I’ll recommend some companies, but you’ll have to organize it yourself. Europe – delivery is probably around €400 to Germany, Austria, France, Italy, Spain, etc. I can recommend two companies. North America, Australia, New Zealand, Japan, etc– I’ll organize all the crating and shipping for you. PAYMENT: Paypal is okay for cheap items; otherwise deposit only on paypal please. You must communicate with me before the end of the auction to discuss payment and shipping options. AFTER PURCHASE: Please email me your phone numbers; I prefer to speak to all purchasers personally. I do everything I can to make your purchase a pleasurable experience. I’ve been selling obscure vintage vehicles on ebay since 2002. Sharing similar interests, I’ve become good friends with many of my customers. – but each has an individual personality and they sometimes have bad days just like you and me. You will need basic mechanical skills (or a local mechanic) to use one on a regular basis. Two-strokes invariably need basic servicing before starting them, if they’ve been left to stand for more than 3 weeks or so. These are rare vehicles whose values are not necessarily based on running order. IF YOU DO NOT AGREE WITH THE ABOVE, PLEASE DO NOT BID. 3. 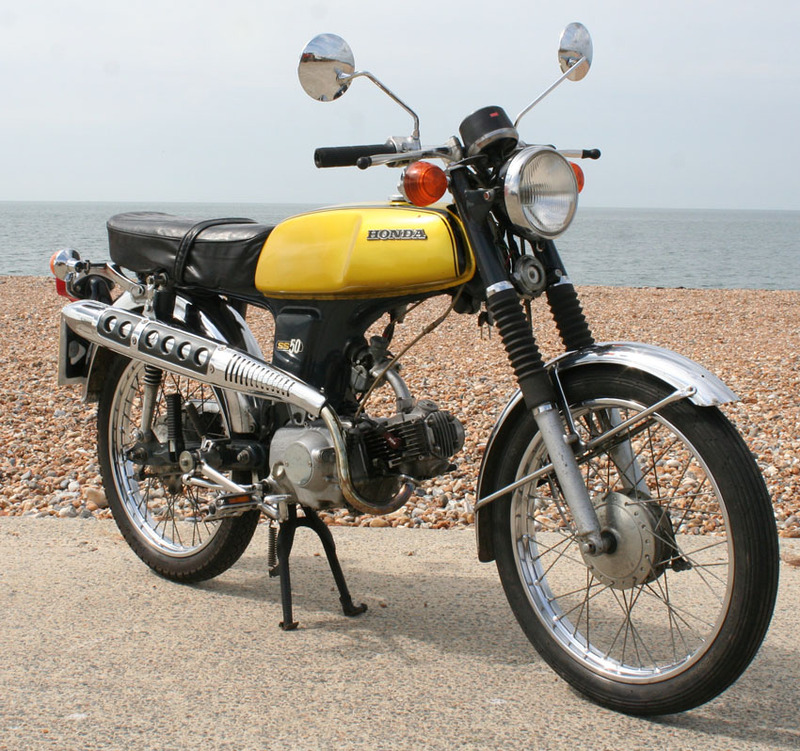 BUY VINTAGE: Why not Buy a Cyclemotor?